Add a bit of fresh to your appetizer; serve with celery and carrot sticks and a side of blue cheese dressing. Buffalo chicken wings served with blue cheese or ranch dip is a popular appetizer at parties, especially during Game Day season. 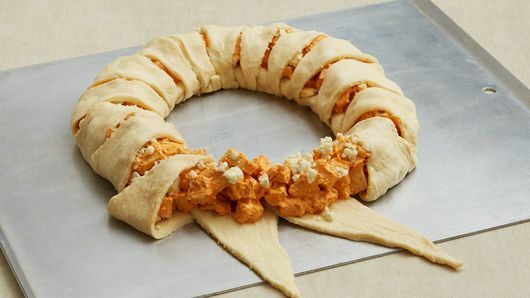 This recipe takes the classic appetizer and gives it a fun crescent twist! 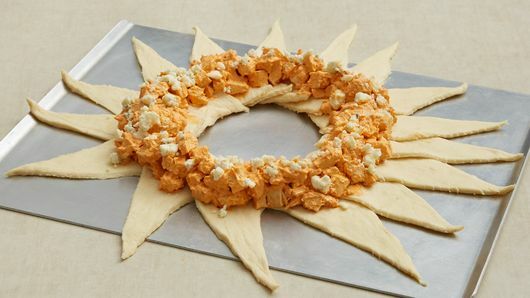 The crescent ring is one of our favorite ways to make creative appetizers because it looks impressive, it makes a large amount of servings to feed a crowd, but it’s also super simple to make. 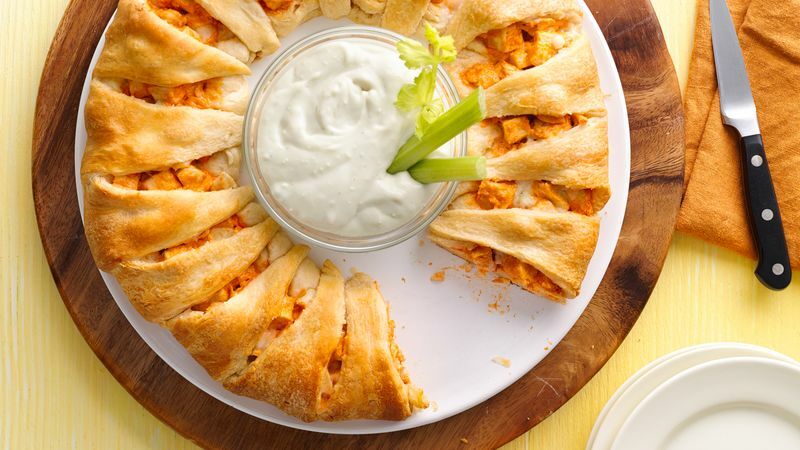 We have plenty more crescent ring recipes like this Buffalo chicken one for you to try next. Crescent rings are just the beginning. 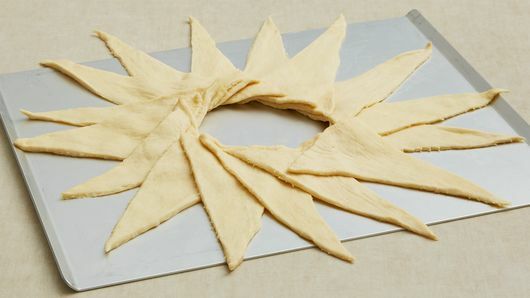 From crescent roll-ups to stuffed crescents, we have a ton of creative appetizers to suit your party needs.